Our ultimate goal is to be your provider of peace of mind. We speak Spanish. Se habla español. Call 786-360-3449 now for a free home visit! A loss of muscle control is the major effect of Parkinson’s Disease. It usually starts with small tremors and stiffness in the extremities and progresses from there. How quickly Parkinson’s advances in based on the individual and can be hard to predict. Parkinson’s is the result of a structural change in the brain, the cause of which is still unknown. The dopamine receptors in the brain stop functioning and are not replaced with new receptor cells. When the brain does not get enough dopamine, it cannot properly manage muscle movements. Parkinson’s usually develops in adults over the age of 60. As you get older, your risk of developing this disease increases. There is a genetic component making people with Parkinson’s Disease in their families more likely to develop it themselves. Also, more men than women end up with Parkinson’s. There is no cure for Parkinson’s. In fact, the cause is still a mystery. There are ways to treat the symptoms and make patients comfortable when the disease progresses. Keeping patients in their own homes and providing the care they need there is one way to make it easier for them to cope with Parkinson’s Disease. Active Home Care provides personal care and medical services for Parkinson’s Disease. Aventura, Florida is one of the areas in South Florida served by Active Home Care. We also cover Coral Gables, Miami Beach, North Miami, Bal Harbour, Cutler Bay, Pinecrest, North Miami Beach, Sunny Isles Beach, Key Biscayne and Surfside. At Active Home Care, we make it possible for you to care for a loved one at home with Parkinson’s Disease. As the disease progresses, it can be too much for you to handle on your own. Active Home Care can give you the skilled nursing support you need to manage Parkinson’s at home. We are available 24/7 for client needs because we understand that home care is not just a day job. Sometimes you need help after-hours or on weekends. Our services range from companion care to skilled nursing. We can provide you with respite care when you need to get out and cannot leave your loved one home alone. We can also help with personal care, meal preparation, bathing, toileting and dressing. We know how hard it can be both to deal with a Parkinson’s diagnosis and manage your or your loved one’s day-to-day needs as the disease progresses — that’s why we’re here to provide the help and compassionate care you need, every step of the way. As a nurse registry, we strive to make the right connections between specialized caregivers and clients in need, we make Parkinson’s Disease care service as attainable and supportive as possible. Personal referral to caregivers who are federally screened, insured and specialize specifically in Parkinson’s Disease care — so you can be confident you or your loved one is in the care of experts and the comfort of home. Quick response time — we take your needs seriously, so we never waste time. We even offer same-day service setup. A free in-home evaluation that helps us become intimately acquainted with your needs. Free caregiver interviews, so you can get to know your caregiver and make sure you’re comfortable and confident. Flexible schedules to work with your needs, including 24/7 on-call services and no minimum service hours — because we’re always there for you. Reasonable rates accommodating to your needs. Long-term care insurance with complimentary guidance and activation. Learn more about long-term care insurance with our helpful guide. Contact Active Home Care today to learn more about how we can help you care for a loved one with Parkinson’s at home and give you the peace of mind of knowing your loved one will be safe and comfortable. Qualify for a 10% Discount! Click here to fill out our simple questionnaire for a 10% discount on your first month of service! Sign up with your email to get latest updates and offers! Are Services Covered by Insurance or Medicare? Are Your Services Only for Seniors? Can I Change the Schedule If I Have an Appointment? Do I Have to Maintain Services for a Specific Period of Time? Do You Provide Home Care Services in Assisted Living Facilities? How Do I Get Started With Home Care? How Do You Select and Screen Your Caregivers? What Happens If I Have to Change My Caregiver’s Schedule? What Happens If My Caregiver Gets Sick? What Is the Schedule for Personal Home Care? Why Should I Use Your Services Instead of Using Another Company? 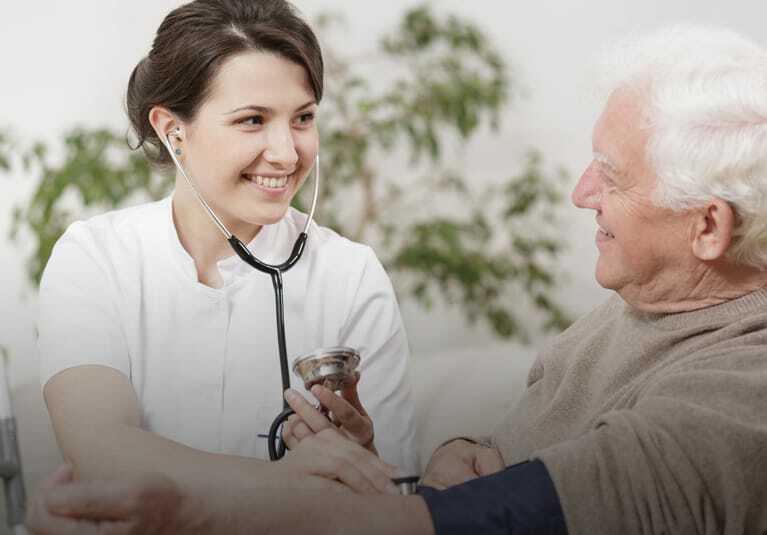 is an AHCA Licensed Nurse Registry dedicated to provide in-home and companion care services to families that wish to have their family members at home rather than choosing a nursing home or assisted living facility. Copyright © 2019 Active Home Care. All rights reserved.